The 3Doodler create+ is a pen based 3D printer that doesn't require any computer files or programming knowledge. You can pick it up, stick in the plastic filament and start printing whatever's on your mind right away. It's a fun way to make creative arts - and even doubles as a way to fix things around the house. You're in need of a hook? Print one! For safety's sake, the pen puts itself to sleep if it isn't activated/used for 5 minutes or so. Not only is it safer, it saves electricity too. The pen feels firm in the hand, with an outer plastic shell. The power port and filament slot is on the top of the pen, and as you insert a piece of filament in, you can see if you've pushed it in enough by looking through the translucent plastic "window". You can then power on the unit by selecting the filament type you inserted, and wait until the red standby light turns blue. The two push buttons for "fast" and "slow" are rubberized and make a nice clicking noise to confirm that you've pressed them. You push once to turn it on and once more to turn it off, with a strong amount of finger pressure required. I wonder if this could have been improved by being on for as long as a finger was on it, and off when the finger was removed. One very nice touch was how the power adapter was labeled. Since most people use 6 outlet surge protectors, having many such power adapters connected makes it annoying to figure out which one to pull out when you need to. You'd have to either label each adapter yourself or follow the wire. At worst, if you have a drawer full of adapters, you'd be at a loss for which one to use for what product. But not with the create+. 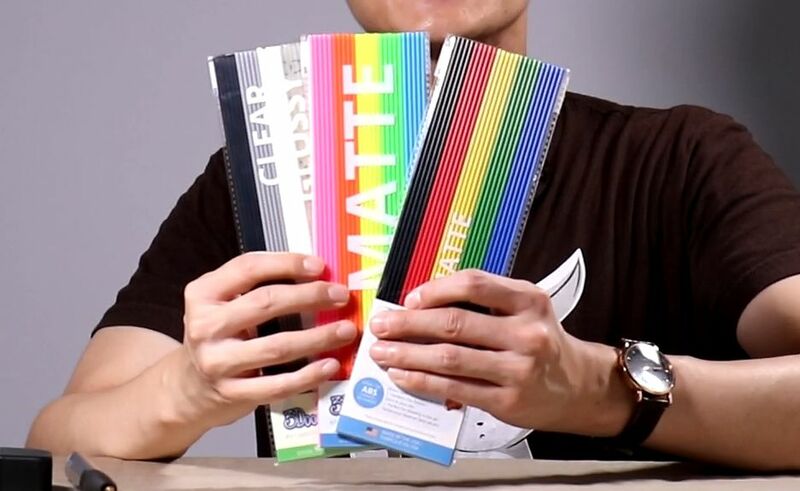 In the basic package, you get 75 pieces of filament in a wide variety of colors. It almost feels like a box of crayons except you're not coloring a flat sheet of paper that will remain flat and 2D. The filament is easy to insert and use, and just as easy to remove. You'll get tools included to help you in case you find yourself in jam, but for me, that hasn't happened yet. I did find that after each use though, a bit of the filament kept oozing out, so I'd have to cut off the piece before starting another run. Don't use your fingers, the metal tip is really hot. In addition to the pen, Wobbleworks is trying to create a whole ecosystem by offering more than 200 free projects and stencils on their website. If that isn't enough, they sell more complex Project Kits like the Clutch and Purse that includes a working zipper for the bag! Wobbleworks aren't the only ones making kits either. They've partnered with companies to create motored projects - frogs that can move, spiders that can jump, and even action figures with moving arms and legs. 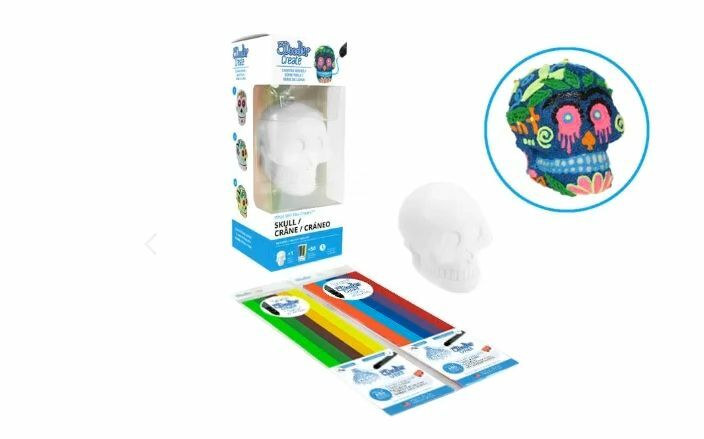 The 3Doodler create+ is a fun and creative way to express yourself in art form. You don't need any files/programs to make it work, so anybody can pick it up and use it straight away. For me, it's an interesting way to fix things around the house and create custom pieces of hardware that you just can't buy at the hardware store. Overall, it's a great piece of kit that you'll find many uses for over time.